Cross-border trade between Vietnam and Cambodia has grown incessantly at over 30 percent annual rate, meaning that the Vietnamese government’s policy on developing border gate economic zones in the southwest has proved effective. Vietnam and Cambodia share 1,137 kilometers of borderline running through 10 provinces of Vietnam and nine provinces of Cambodia, with 10 international, 12 major and 25 minor border gates. Nguyen Thanh Bien, Industry and Trade deputy minister, said despite the global economic crisis, last year’s two-way trade between the two countries fetched over US$1.4 billion, maintaining a growth rate of more than 30 percent. In the first quarter of this year, trade turnover reached US$432 million, up 127 per cent from the same period last year, he said. 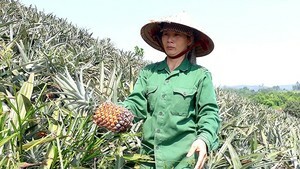 Border gates in Vietnam’s An Giang, Tay Ninh, Kien Giang and Dong Thap provinces have seen the highest import and export volumes, Mr Bien added. The two governments have agreed to further enhance co-operation between the two countries to strive to reach bilateral trade turnover of US$2 billion in 2010 and increase the figure to US$6.5 billion by 2015. Two-way trade value through An Giang border gates was US$900 million in 2009 while it was US$600 in 2006, Mr. Chieu added. A study by the Ho Chi Minh City Investment and Trade Promotion Center showed that Cambodian customers attach special importance to prices rather than quality. Cambodians are interested in Vietnamese goods as they have similar consumption habits with Vietnamese, the study said. 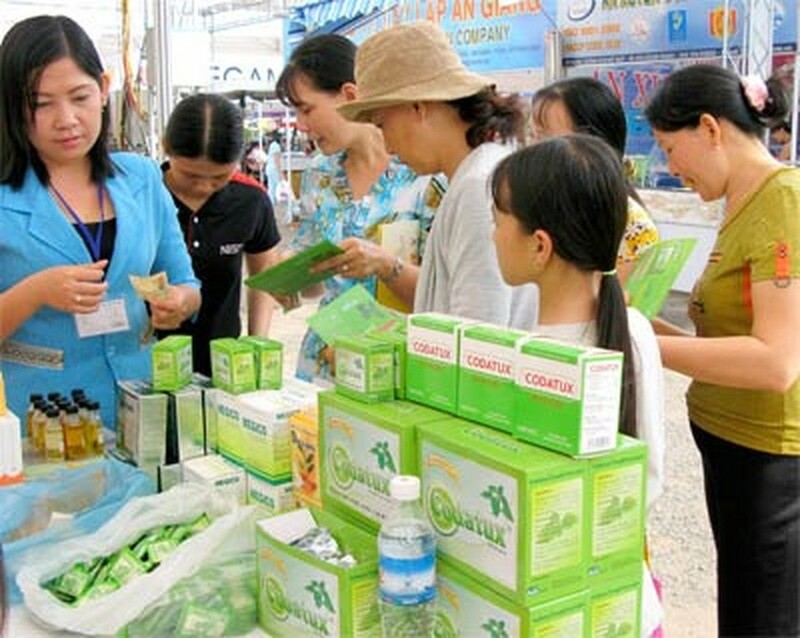 Le Duong Quang, Industry and Trade deputy minister, said, sales have increased continuously at nine high-quality Vietnamese goods fairs held in Cambodia, with the recent one in April attracting about 350,000 visitors who bought over US$3.3 worth of Vietnamese goods. Some Vietnamese enterprises have also found Cambodian partners at the fairs and entered into long-term investment and purchase contracts with them. Nguyen Minh Tri, head of the An Giang Border Gate Economic Zone’s management board, said 35 enterprises have opened free duty supermarkets selling over 15,000 goods items at the zone. Tinh Bien Trade Zone in the Tinh Bien Border Gate Economic Zone in An Giang Provine received 592,000 customers, 4,445 of them came from Cambodia, and had a turnover of VND454 billion (US$23.9 million) in 2009. While in the first four months of this year, the zone attracted 784,000 customers, 7,742 of them were Cambodian, and recorded a turnover of over VND475 billion (US$25 million). The soars in customer and turnover show that the trade zone is an attractive shopping destination for Cambodian people and enterprises. According to the Vietnamese Government’s plan on developing border gate economic zones, the country expects to have 30 zones by 2020, reach an annual cross border trade turnover of US$42-43 billion and receive 7.8-8 million tourists via the zones. Under the plan, economic zones bordering Cambodia will be developed into provinces’ key economic zones.